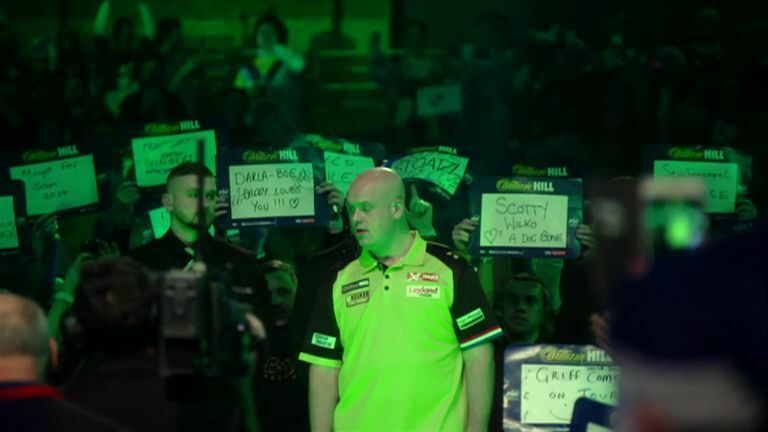 World No 1 Michael van Gerwen began his quest for a third World Championship title with a win, but only after having to recover from a spectator throwing beer over him as he prepared to make his walk-on at Alexandra Palace. The Dutch ace appeared visibly upset when he eventually made it to the oche some minutes later, but he did not let the unsavoury incident affect his performance as he defeated St Helens' thrower Alan Tabern. A PDC spokesman said: "The fan who threw the beer was removed from the premises. The PDC does not condone that sort of behaviour." 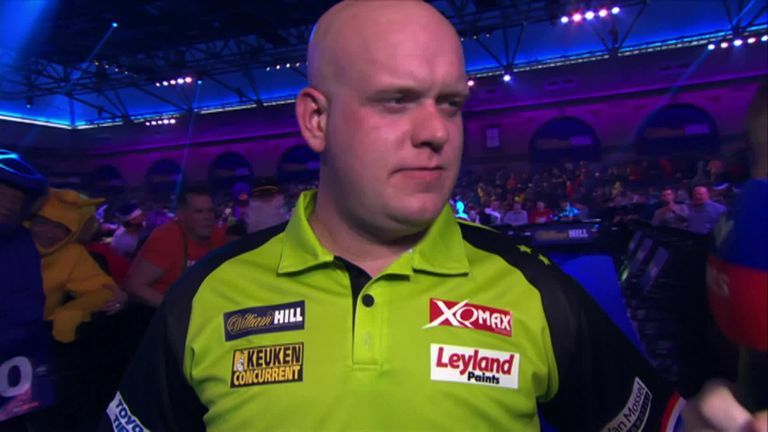 Van Gerwen's walk-on was delayed after he had beer thrown at him. The person was duly ejected and banned from darts for life! Van Gerwen has won 19 PDC titles in another trophy-laden season, although he's only lifted three televised titles - his worst return since 2014. But 'The Green Machine', who won the tournament in 2014 and 2017 and is the top seed for the fifth consecutive World Championship, came good with a three-dart average of 102.59, throwing four maximums and had a checkout percentage of 55 despite an impressive performance by southpaw Tabern to conclude Saturday's action. 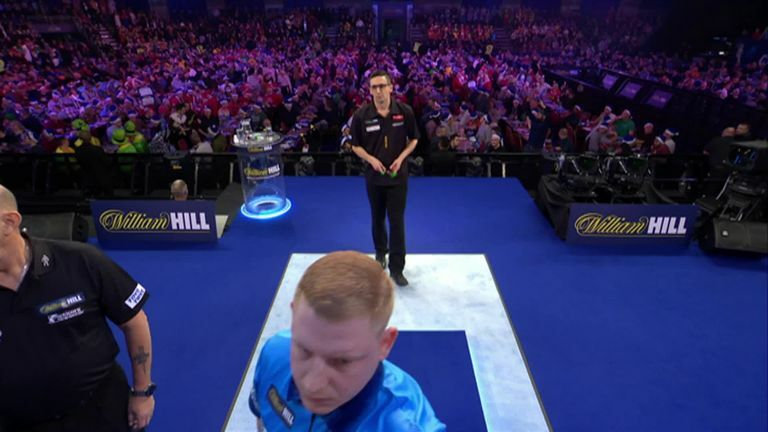 Former World Youth champion Brown showed glimpses of the kind of form which catapulted him into darting stardom to mop up a fine win over just the second Czech player to feature at a PDC World Championship with a three-dart average of 95.78. The prize for the Isle of Wight ace will be a collision against rapid Dutch thrower Jelle Klaasen in the second round next Friday night. Brown admitted he has not played well in the last two years but says he is now back! Spain's Alcinas coasted past the lucky loser from New Zealand to set up a meeting with world No 3 Peter Wright in the second round on Sunday evening. 'The Samurai', who ended a six-year gap between Ally Pally appearances 12 months ago, proved a class apart as he pounded nine 140s on his way to winning eight out of the nine legs. A confident Searle won the battle of the debutants and now meets seventh seed Mensur Suljovic for a place in the third round. Searle, who secured his spot at the tournament via the Pro Tour Order of Merit, won a tight opening set, but then played with a swagger as he averaged 102 on his way to winning the next before completing the win as Burton missed 20 out of 23 double attempts in a horror show. Germany's Max Hopp proved too strong for Lakeside finalist Danny Noppert as he romped to a convincing 3-0 victory to reach round three on Saturday afternoon. Hopp, nicknamed 'The Maximiser' was showing the kind of form which earned him a famous win on home soil at the German Darts Open earlier this year by setting up an intriguing clash with Michael van Gerwen. "I'm learning and I'm battling so I will be looking to taking on the best player on the planet next Saturday so bring it on" said Hopp. 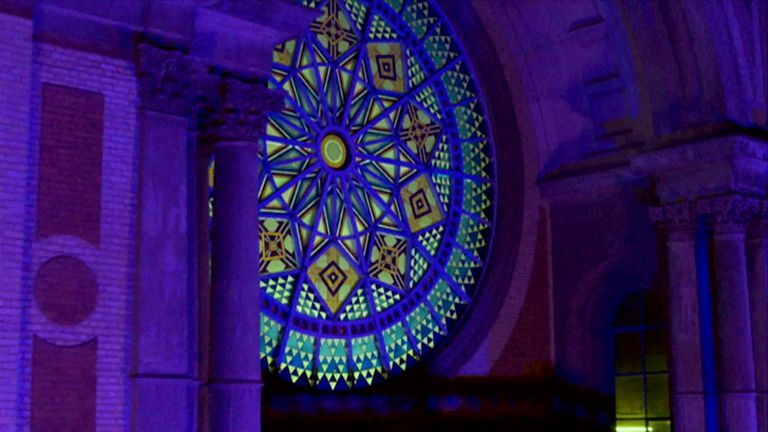 Can 'Super Ted' make Ally Pally mark? 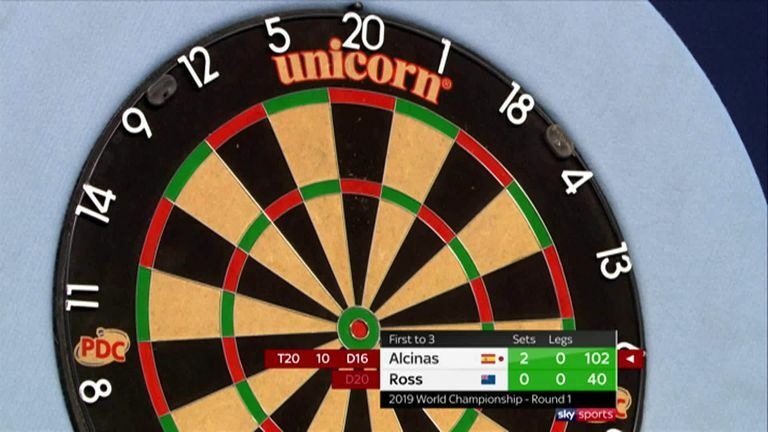 VOTE: World Darts Championship winner? In the first round, Richard North snatched victory from the jaws of defeat against Robert Marijanovic to set up a clash against Steve West, while Jim Long had a debut to remember by beating Mickey Mansell 3-1. The Canadian faces Benito van de Pas next, while Josh Payne will attempt to upset Dave Chisnall after silencing 2016 Lakeside runner-up Jeff Smith 3-2.